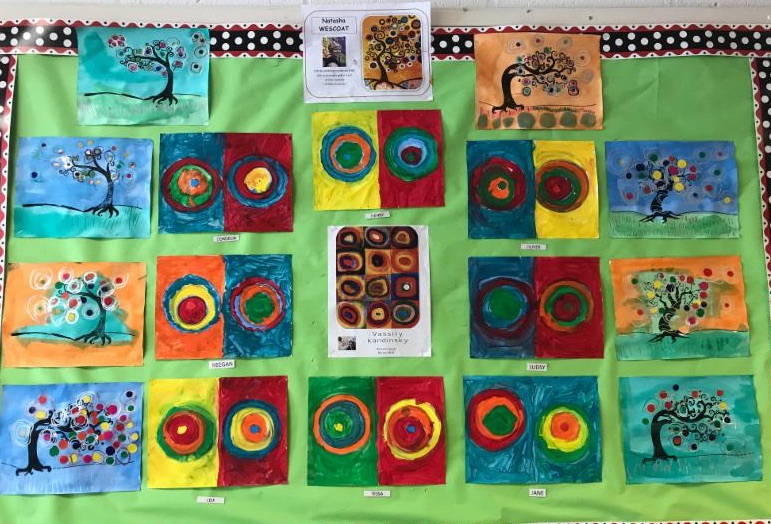 There is new artwork now on display near the Early Childhood classroom that will surely brighten your day. 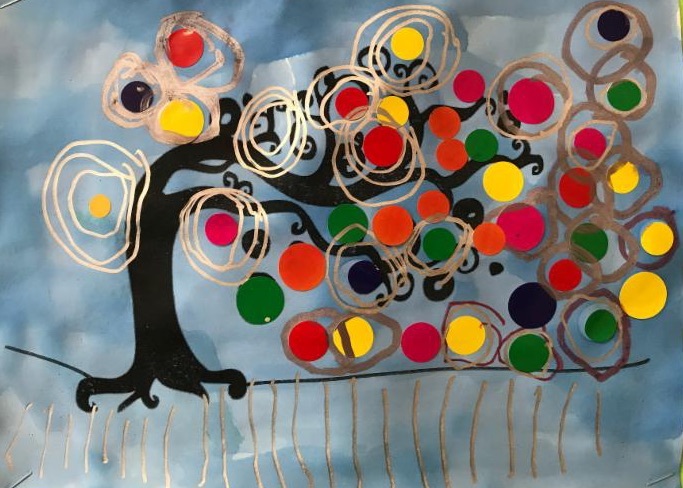 These projects were inspired by Wassily Kandinsky and Natasha Wescoat. In art class, students learned about these artists and then created pieces inspired by these artists. Bravo!